: Born to the A clan of Gyr Abania, A'lihn was only a baby when the Garleans invaded. 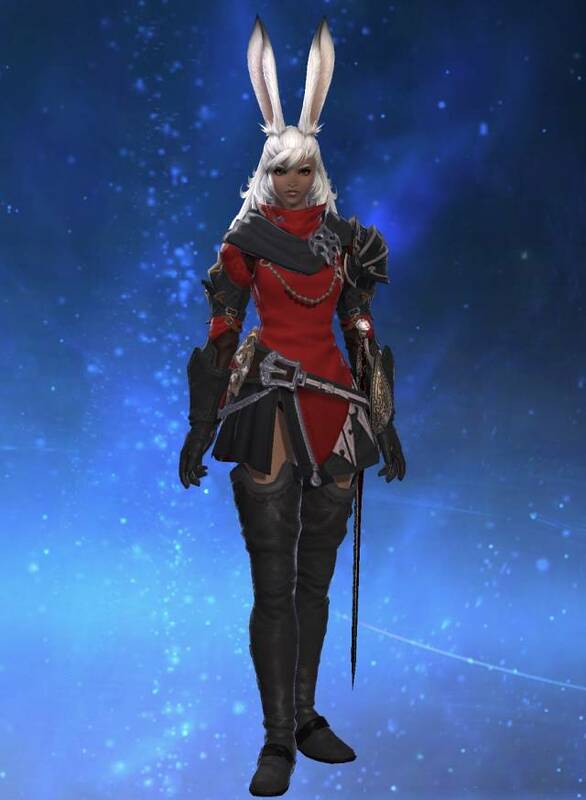 Her clan left for Thanalan, led by her mother - one of the Crimson Duelists of Ala Migho. But on settling in Thanalan, a new nunh rose in her clan, one that loved to live down to every "fat cat" stereotype possible. Greedy, egomaniacal and trecherous, the new nunh killed A'lihn's mother, making the teenage student of Red Magic flee north, away from her clan and into the frozen reaches of Coerthas. Inhospitable did not only describe the change in climate for the desert-dwelling Miqo'te, but also the people she encountered. Eventually forced to steal to keep from starving, her attempt to steal from a knight-errant of the Holy See led to her being 'drafted' for lack of a better word, as the knight's squire. From here, A'lihn recieved an education not only in letters and history, but also in ettiquete and swordplay. Only for that education to be interrupted by the Battle of Carteneau, where her knightly mentor met her demise. Once again left to her own devices, A'lihn travelled south, beginning her career as an adventurer, fighting bandits, beast tribes and monsters with spell and sword, while seeking out greater knowledge, both scientific and arcane. Today, she seems every bit the Crimson Duelist her mother was (despite her protestations otherwise), standing up for the downtrodden and innocent.